Notes: Another busy day. I wanted to try out a lens which was leant to me by a friend who’s thinking of selling it… but the weather was pretty ropey. 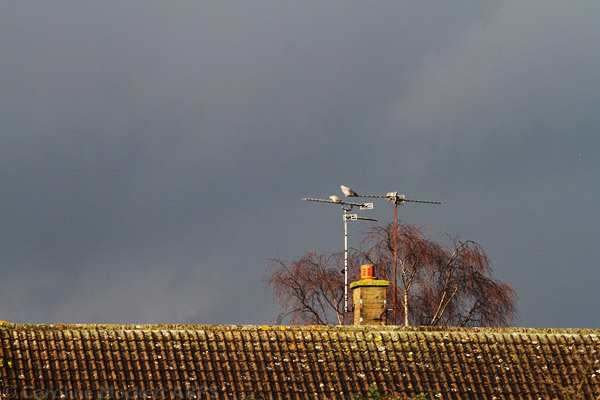 I noticed a brief bit of sunlight during the afternoon whilst I was brewing a cuppa – so nipped out into the back garden and wafted the lens around for a bit, alighting on these pigeons on the roof of a neighbour’s house, caught a shaft of light against the dark clouds.